A petition to send Clackamas County's recently approved vehicle registration fee to voters has been withdrawn. But those involved with the petition are working on an initiative that would examine how transportation funding is spent in the county. On Tuesday, Feb. 26, Gladstone resident Les Poole filed a petition that, if enough signatures were collected, would allow Clackamas County voters to determine whether to accept the vehicle registration fee. However, Poole withdrew the petition on Monday, March 11. "I'm launching a separate initiative that would affect how transportation funds are spent in Clackamas County. It's not a repeal of the vehicle registration fee but a prioritization of where funding is going," he said, noting that he thinks this will more effectively address the larger picture. Poole expects to have the language of the initiative finalized within the next few weeks, and citizens would vote on the measure during an election in 2020. In February, Clackamas County Commissioners passed an ordinance proposing a $30 per year vehicle registration fee to fund road maintenance and construction projects to relieve congestion last month. The fee will go into effect in May. The funds will be divided with 50 percent going to the county, 40 percent to the cities in the county and 10 percent to a strategic investment fund for the county and cities for multi-jurisdictional projects. The county is expected to receive $5.5 million annually from the fee, and funds to the cities will be based on population. Poole said many Clackamas County citizens are unhappy with the vehicle registration fee. "There's a growing public angst that doesn't go away with me withdrawing this referendum. It was a tough decision to hold off, but in light of the bigger picture, we don't want to devote so much energy to one subject," he said. The initiative Poole is working on will focus on preservation of existing roads but would not repeal the vehicle registration fee. "We want to change how money is spent rather than having high fees and tolling," he said, adding that there are "a number of troubling things with regard to taxes and fees involved with driving automobiles." Poole added that the initiative would redirect more of the county's funds to go to roads, rather than other projects like light rail. "I'm not opposed to light rail, but I'm opposed to the price we paid and the number of miles of it that are in Clackamas County," he said. Clackamas County was one of several organizations that helped fund the MAX Orange Line, which was completed in 2015 and provides light-rail transit between downtown Portland and Milwaukie. Clackamas County spent $25 million on the Orange Line, though money that came from the county's general fund rather than its road fund. 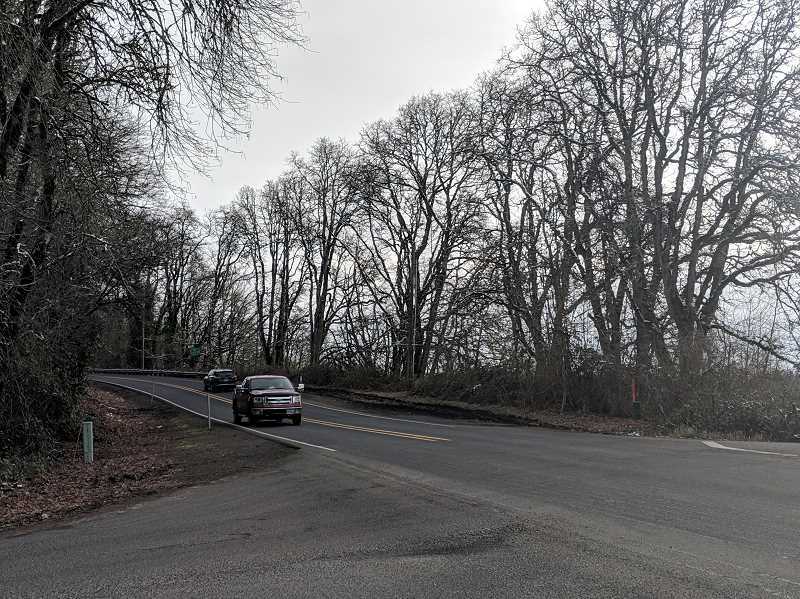 "Clackamas County road funds are spent on our 1,400-mile road system, as required by the state constitution," said Ellen Rogalin, community relations specialist for the county. "No road funds have been spent on light rail, no road funds can be spent on light rail and the county has no plans to spend any money on light rail." During a March 7 meeting of the Clackamas County Board of Commissioners, Poole criticized high fees and taxes. "We are not going to be able to survive with tolling, a vehicle registration fee that can be increased with little question, with a carbon tax and that cost of living is going through the roof. It's all tied together," he said.